Findings from the 2016 Student Engagement and Demographics Survey were also released. Information related to Institutional Planning at Penn State Lehigh Valley was shared at All Campus Day on August 21, 2015. Visit the Campus Strategic Plan 2014-19 Page for additional resources. The Office of Institutional Planning provided an update regarding the 2014-19 Campus Strategic Planning Process for all Penn State Lehigh Valley faculty and staff attending All Campus Day on August 22, 2014. The All Campus Day Strategic Planning 2014 PowerPoint provides details of the presentation. For additional information, contact the Planning Office at kmw14@psu.edu. 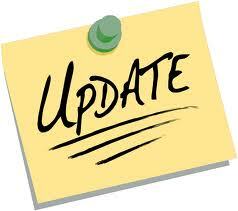 Faculty and staff can continue to check the 2014-19 Campus Strategic Planning Page for updated information. The Penn State Lehigh Valley Office of Institutional Planning is pleased to report that the 2014-15 to 2018-19 Campus Strategic Plan has been completed and submitted to the Office of Planning and Institutional Assessment (OPIA) at University Park for review by the Provost’s Office and numerous planning committees. Thank you to everyone who shared his/her feedback and insights as part of this valuable process. Further information will be shared with faculty and staff at All Campus Day, August 2014. * Additional refinement of the actions within the plan and other components of the document occurred throughout April, including meetings with various campus departments and faculty/staff, collection of data and information, and ongoing formatting of the plan’s structure. For additional information about the planning process, please click here.